High quality backpack and bike bag in one? 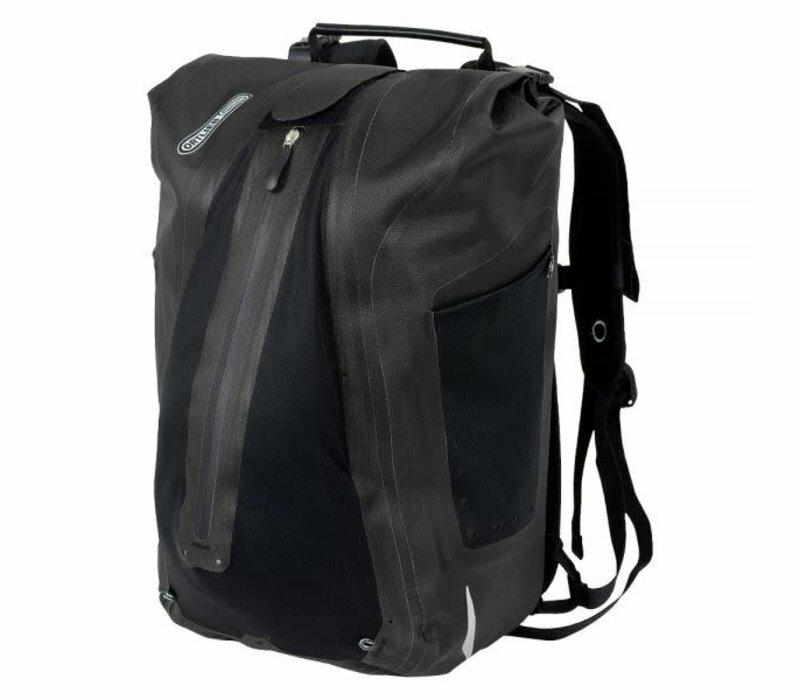 The ORTLIEB Vario offers an ideal solution for all of those who ride to work or school and who plan to head into town on their lunch break or in the evening. 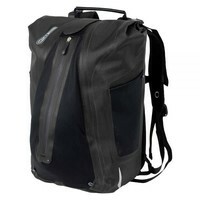 High quality backpack and bike bag in one? 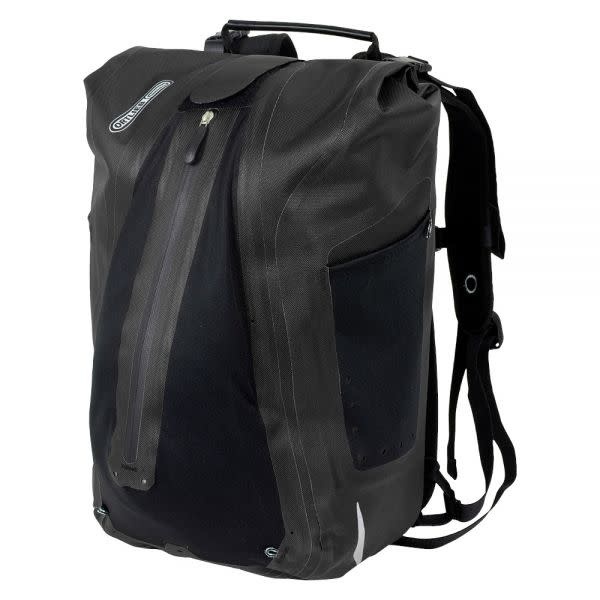 The ORTLIEB Vario offers an ideal solution for all of those who ride to work or school and who plan to head into town on their lunch break or in the evening. Made of sturdy, waterproof nylon fabric, the Vario offers you plenty of space for your office documents, a 15.4” laptop, provisions for your lunch break and various items you pick up at stores along the way. You can attach the Vario to your bike with the Quick-Lock3.1 or the Quick-Lock2.1 mounting system. And once you’ve reached your destination, the Vario transforms instantaneously back into a backpack. Simply remove the padded carriage system with shoulder straps and chest strap from the spacious front pocket and attach it to the rear of the bag. Thanks to an integrated holder you can also securely attach your bike helmet to the backpack.